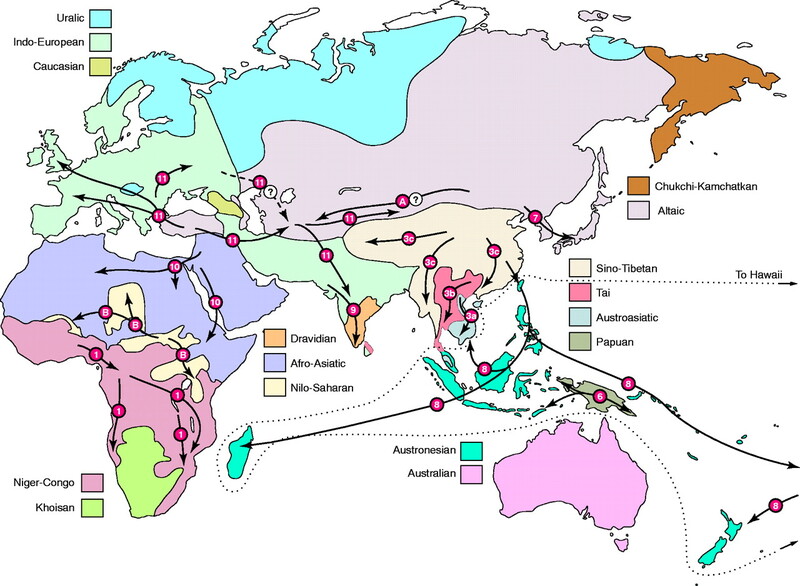 A nifty map of language families and their movement throughout the old world. Here are the Americas (makes less sense). 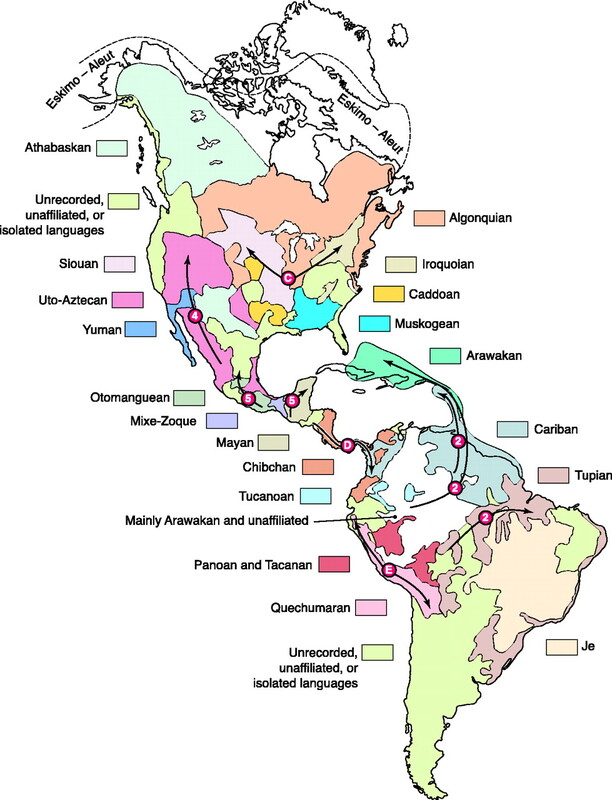 I've always wanted to create a flash map that illustrates language evolution. Anyone know of one already made?